Ambient pressure present there open circuit bailout mouthpiece on BOOT 2008. Now after even more improvements the final version is for sale now. Here you find photos of the production model available now. We are delighted to announce that the Open Circuit Bailout Mouthpiece, the OCB, is now available. 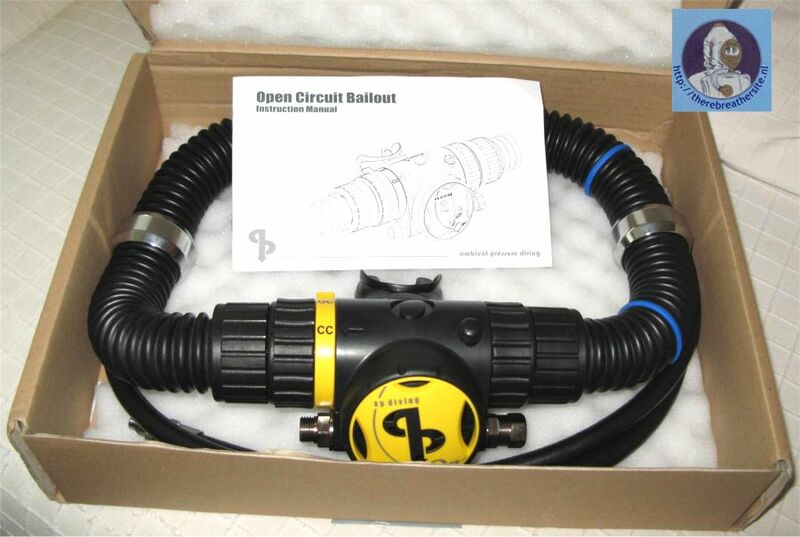 This highly sought after product will enable the diver to bail out to open circuit with one movement without removing the mouthpiece from their mouth, very easy in a stressful situation and will provide peace of mind for many divers. The custom designed mouthpiece is extremely compact and lightweight, weighing in at only 350g in air but is neutrally buoyant in the water. It features new lever operated switching between open circuit and closed circuit making it very easy to use and of course it has undergone the extensive third party testing required for CE approval. 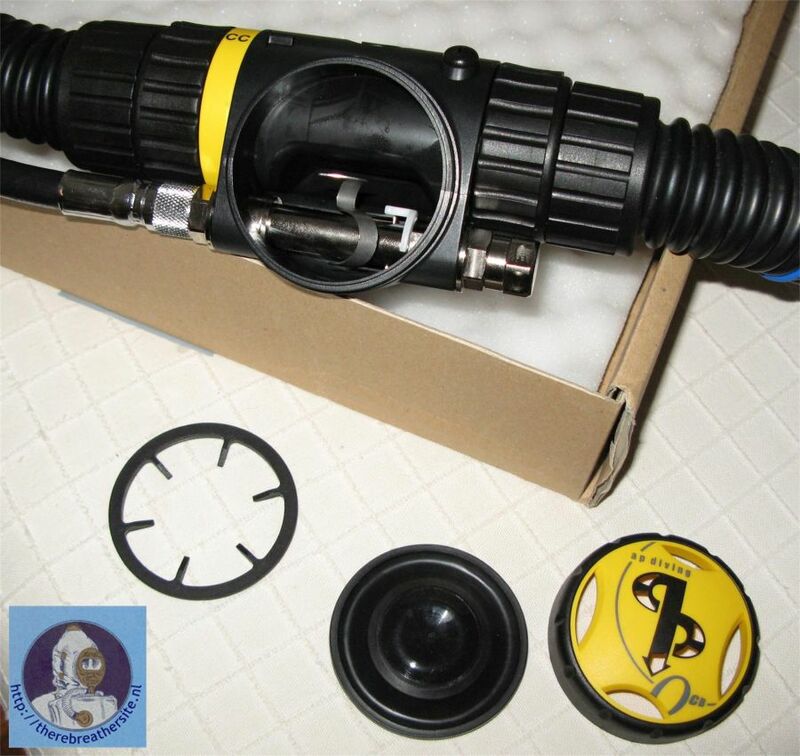 It is rated to EN14143, the rebreather standard, EN13949, the nitrox standard and EN250, the regulator standard and in fact exceeds the requirements for this standard. The OCB can also be used in fast flowing water for instance when scootering. Ambient Pressure Diving’s patented dual valve technology allows gas to be fed from the left or right facilitating individual configuration and is ready for use with high oxygen percentage gasses. Manufactured to a very high standard in our specialist facility it can be fitted to existing units and will be optional on the purchase of a new unit. As with all our products full spares and back up are available. 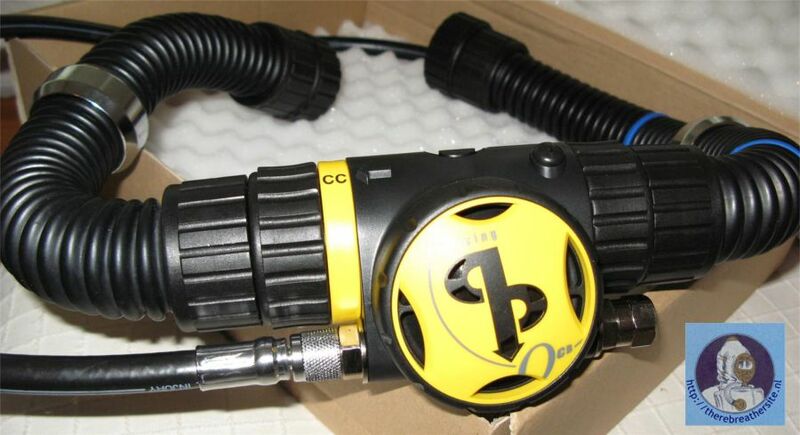 The OCB will be available as standard with the corrugated hoses allowing the diver to easily interchange the mouthpiece that is connected to their Inspiration or Evolution by simply disconnecting at the T-pieces. However it will also be available without the corrugated hoses if required. 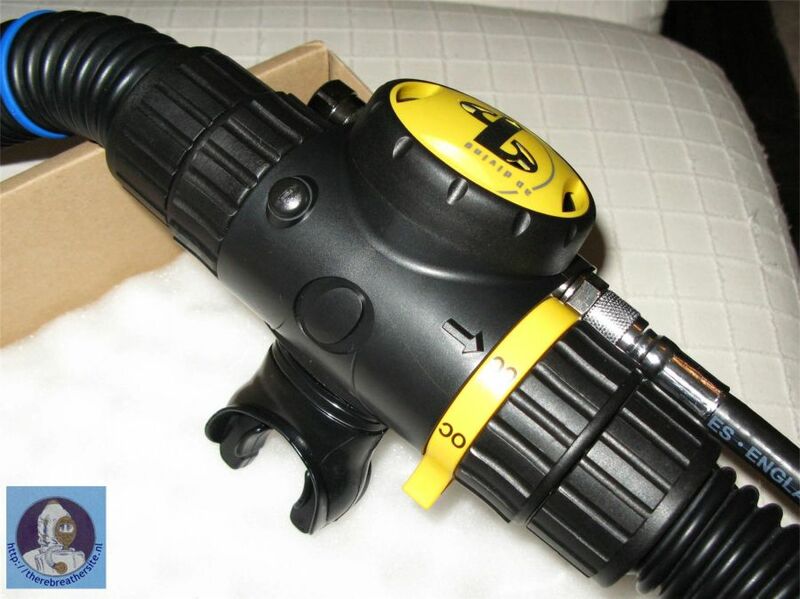 It will be supplied as standard with a 1.5 metre low pressure hose using our reusable LP fittings which allow you to shorten the hose as required. I did try it last weekend. It is a little bulkier then the regular mouth pieces, but still smaller then most of the other one on the market the design is great, the weight of it is very acceptable (lighter then most) breathing is easy an as a bonus it is really beautiful AP did a great job ! !